Urban Renting is a free online apartment locating service that allows you to obtain property information. Register for FREE through our website and browse for FREE through our database that offers a wide selection of apartments/town homes/lofts. When visiting your apartment community, you must write Urban Renting on all guest cards, application, and lease agreements. 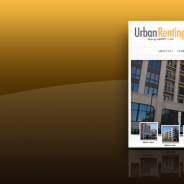 In a nut shell, you must tell the community you found your future home through Urban Renting.